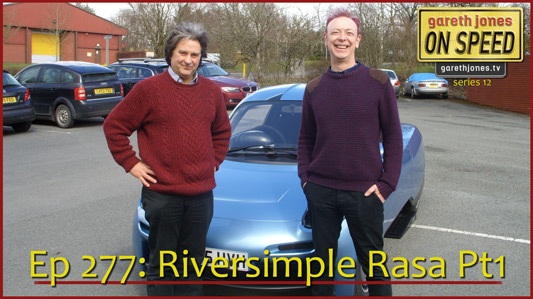 #277 Riversimple Rasa Pt1. Gareth visits the Welsh headquarters of radical car start-up Riversimple. Company founder Hugo Spowers explains how their open-source ultra-lightweight fuel cell car and the company that makes it works.